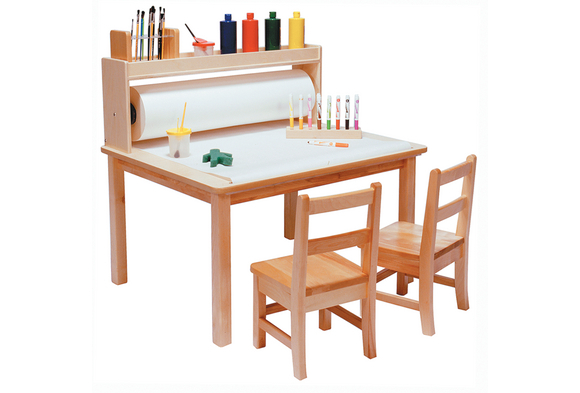 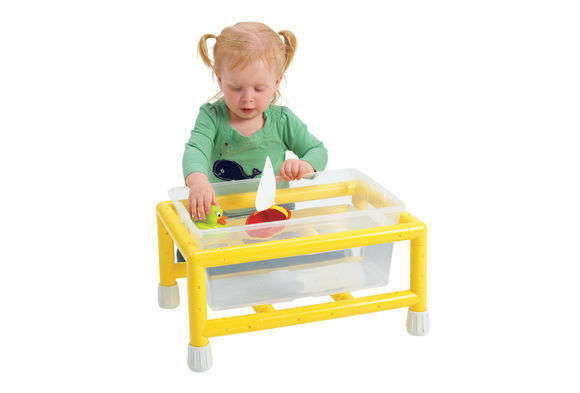 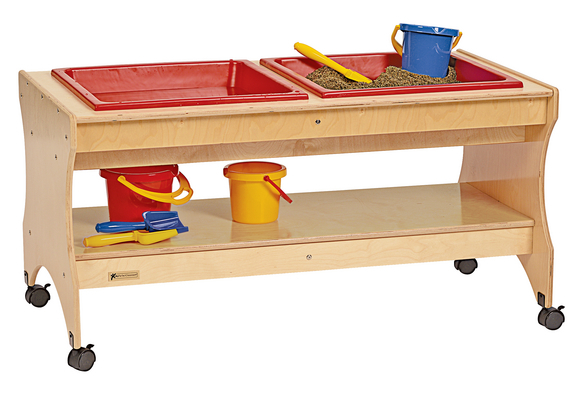 This lightweight sensory table is perfectly sized for toddlers! 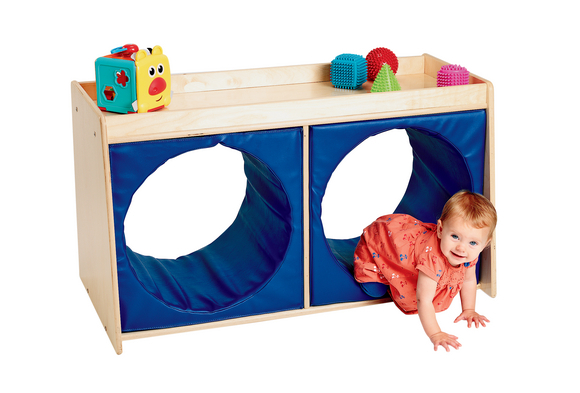 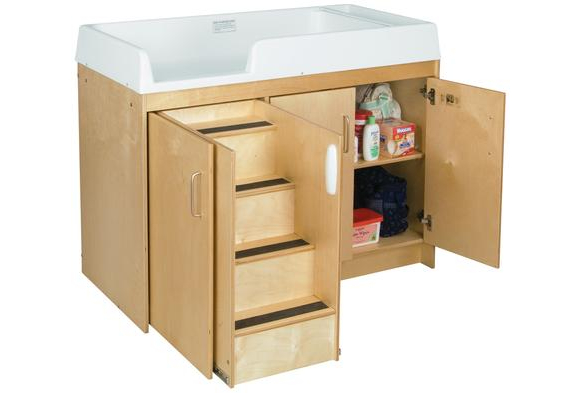 This is the ideal storage solution for toddlers who still love to crawl through cushy tunnels and those who need support while learning to walk. 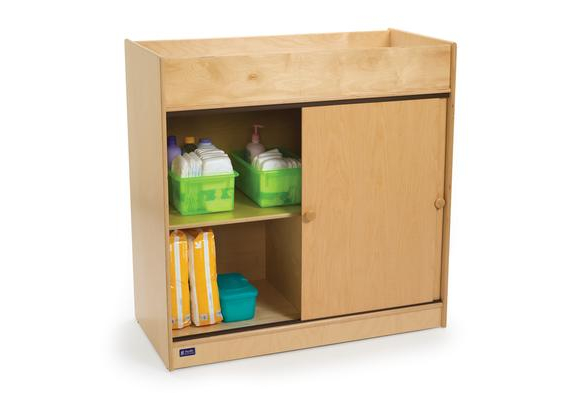 Versatile storage for baby changing. 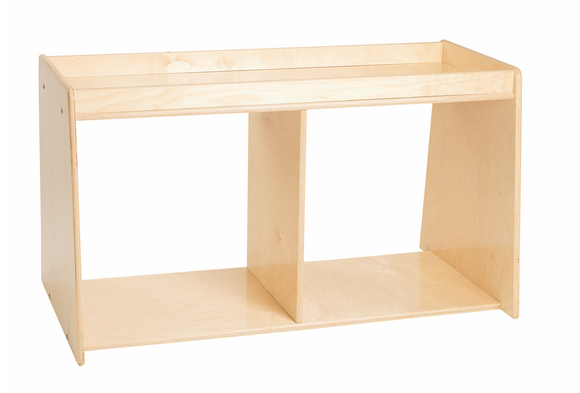 Table has 2 large storage shelves behind plywood sliding doors.